The Google Photos tab has now been removed from the left-hand navigation in Drive. Please see the blog post below for more information. Today in Google Drive you can view your Google Photos directly via a tab in the left navigation and from folders within My Drive. 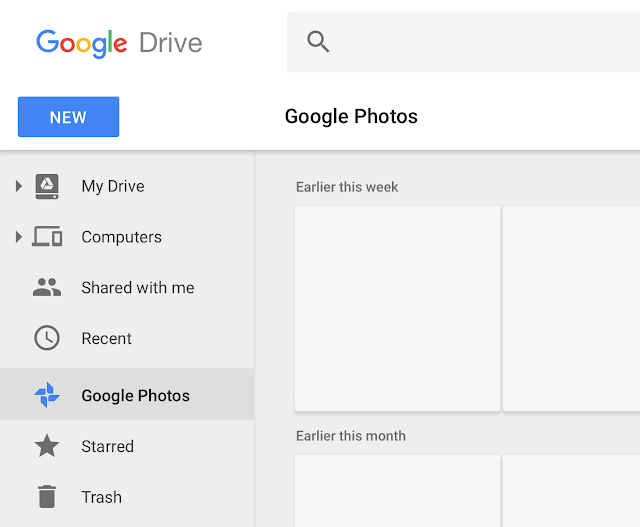 In early January 2018, we will simplify Drive navigation by removing the Google Photos tab. 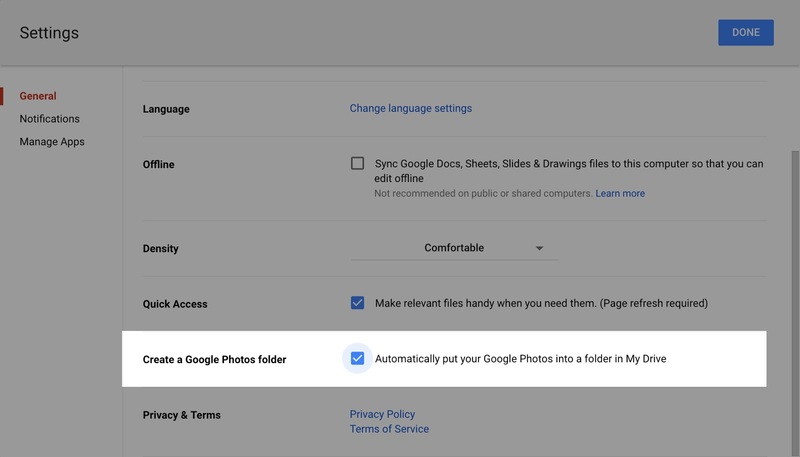 You can continue to access your photos and videos in Drive by creating a Google Photos folder in My Drive. Learn more in the Help Center. You can still access your photos and videos in Google Photos on the web, Android, and iOS. Launching to both Rapid Release and Scheduled Release in early March 2018. Please monitor the G Suite release calendar for a specific launch date.